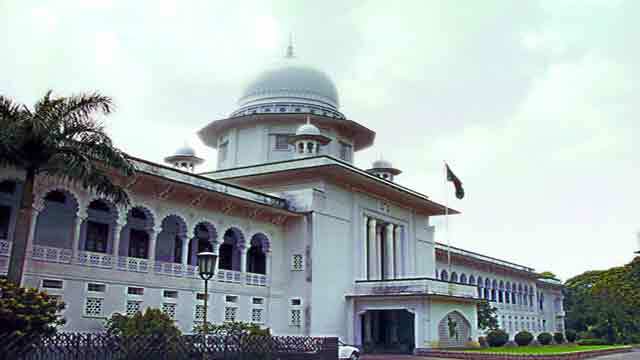 Dhaka, Jan 3 (Just News): The Appellate Division of the Supreme Court on Wednesday accepted the gazette notification on the disciplinary rules for lower court judges. A five-member Appellate Division bench, led by acting Chief Justice Abdul Wahhab Miah, granted the disciplinary rules citing that the government issued the gazette giving primacy to the opinions of the apex court at every stage. Some media outlets are making unnecessary comments on gazette notification without reading it, the apex court observed. Earlier, Attorney General Mahbubey Alam read out the gazette on Judges' disciplinary rules before the Appellate Division bench. On December 11 last, the government issued the gazette notification. Later, on December 13, the SC fixed January 2 (today) for an order on the notification. The lower judiciary was officially separated in November 2007 but the disciplinary rules for lower court judges had not been formulated. On December 2, 1999, the Supreme Court in the Masdar Hossain case issued a seven-point directive, including formulating separate disciplinary rules, for the lower court judges. The Law Ministry on May 7, 2015 sent a draft of the rules to the Supreme Court which was similar to the Government Servants (Discipline and Appeal) Rules 1985.